Overview of how to open and close the Ranger console. 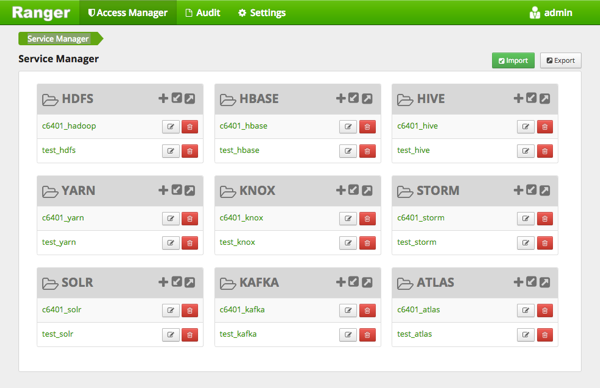 To open the Ranger Console, log in to the Ranger portal at http://<your_ranger_server_address>:6080 (E.G., http://dw-weekly.field.hortonworks.com:6080). To log in, enter your user name and password, then click Sign In. After you log in, your user name is displayed at the top right of the Ranger Console. 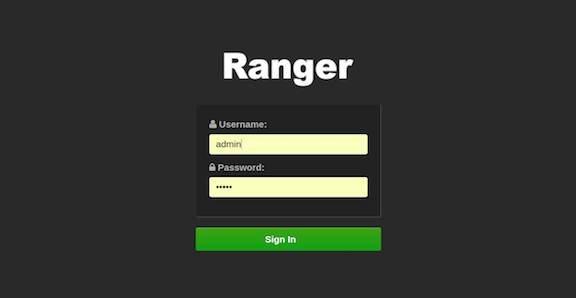 To log out of the Ranger Console, click your user name, then select Log Out.